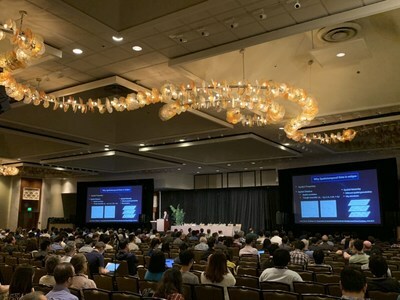 BEIJING, Feb. 3, 2019 /PRNewswire/ -- At the AAAI 2019 conference held in Hawaii, JD iCity drew attention by demonstrating how they combined advanced multi-source data fusion techniques with spatio-temporal data-driven models for addressing urban problems in traffic, environment protection, energy consumption and other areas with knowledge mined from data. 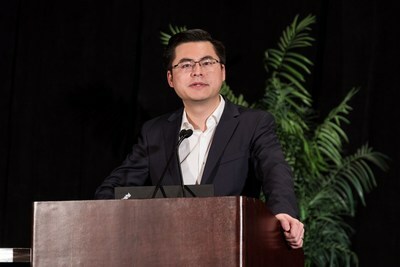 AAAI is the leading conference in the field of artificial intelligence, Dr. Yu Zheng, Vice President of JD.COM and the Chief Data Scientist of JD Digits, also serves as the managing director of JD Intelligent City Research, gave the keynote speech, 'Urban Computing: Building Intelligent Cities Using Big Data and AI.' As a proponent of the concept of urban computing. He wrote the book 'Urban Computing' recently, published by the MIT Press. This is the world's first authoritative book in the field of urban computing. 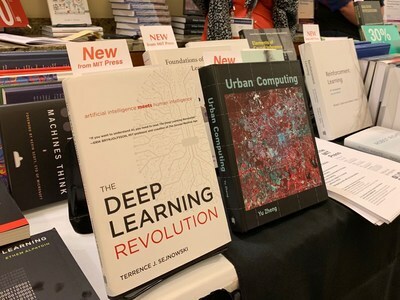 In his keynote speech, Zheng explained that the concept of urban computing includes urban perception & data acquisition, big data management, data-driven analysis and services provided. Zheng said that the urban perception & data acquisition process is facing lots of challenges, including acquiring more data with limited resources; insufficient data due to the extreme lack of sensors in cities; and serious data loss issue due to faulty sensors or other factors. To address these challenges, Zheng proposed to unify different types of data in urban spaces, such as crowd flow data, traffic flow, air quality, weather data and social media data into unified spatial-temporal data types, and then optimize the management of those data utilizing multiple specially designed spatial-temporal indexes. Zheng gave an example of how these techniques help with detecting parking violations by mining the massive trajectory data of shared bicycles. When talking about the layer of data-driven analysis in cities, Zheng emphasized that the structure of spatio-temporal data is different from simple text and image data. A photo is static in size and is not time varying, however, the trajectory of a vehicle is constantly changing, and two points in the trajectory cannot be exchanged. Using regional crowd flow forecasting problem as an example, a large event occur, new AI models developed by JD Intelligent City Research can accurately predict the human crowd or traffic flow in time period. This has significant value to urban administrative authorities. The analysis of spatio-temporal data is not accurate enough without synergizing with the big data from different sectors. In a mega city, for instance, air quality might be quite different across different areas even at the same time. Zheng believes that to forecast the air quality of a location in a city, we have to fuse the information in the data from many fields, such as weather, traffic, people movement, points of interest, traffic network, historical air quality data and real-time air quality reports, and domain knowledge in meteorology and environmental science, in order to produce an effective prediction model. Zheng particularly stressed the importance of data scientists. In his opinion, it's impossible to solve urban problems without the contributions of interdisciplinary talents on artificial intelligence who can discover the rules behind data and also apply algorithm models into various sectors. JD Digits was formerly known as JD Finance until it was comprehensively upgraded and rebranded in November 2018. Its operational purpose is to connect the finance industry and real economy by using digital technology, boosting the influence of the Internet, enhancing digital and smart industry development, fostering the development of the real economy and creating greater social value. With its cutting-edge technologies and expertise in big data, AI, IoT and blockchain, JD Digits has been involved in many fields, including finance, urban computing, agriculture, campus services and digital marketing. In the future, JD Digits will enter more real economy sectors and will more deeply explore current business patterns and developing trends.